When I started dating my wife, I spent a considerable amount of time driving back and forth on Interstate 81 between Knoxville, Tennessee and Washington, DC. If you’ve ever driven that stretch of highway, you know that it can be miserable at times due to heavy traffic. I didn’t have to sit through very many traffic jams before I figured out some alternate routes. Highway 11, also known as Lee Highway, was the primary north-south artery along the west side of the Blue Ridge Mountains through the Shenandoah Valley long before the interstate was built. I soon realized that, even on the heaviest traffic days, it’s possible to jump off onto 11 and ride for jam-free miles through some of the most scenic country in the region. Before long, I started picking out segments of Lee Highway to drive along even when traffic wasn’t backed up on the interstate. Since I have family and property in Tennessee, I continue to make that trip often and I still plan these panoramic diversions into my travel. Sometimes my ventures off the main road last only for an exit or two, but on some trips, I’ll drive for miles though the beautiful scenery and quaint communities of the Shenandoah. I look at these Lee Highway detours like they are mini-vacations from the usual hustle and bustle of the main thoroughfare. As a result, I’ve made some interesting discoveries. For example, did you know there is a full-size replica of Stonehenge made entirely out of styrofoam near Natural Bridge, Virginia, or that you can still get a delicious burger at the restaurant where Hank Williams ate his last meal in Bristol? Another thing I look forward to on my trips to the south is an ice cold IPA from Atlanta’s Sweetwater Brewing Company. The brewery is fish-friendly and teams up with the Waterkeeper Alliance to raise awareness for clean water. The slogan on every can and bottle is Don’t Float The Mainstream. 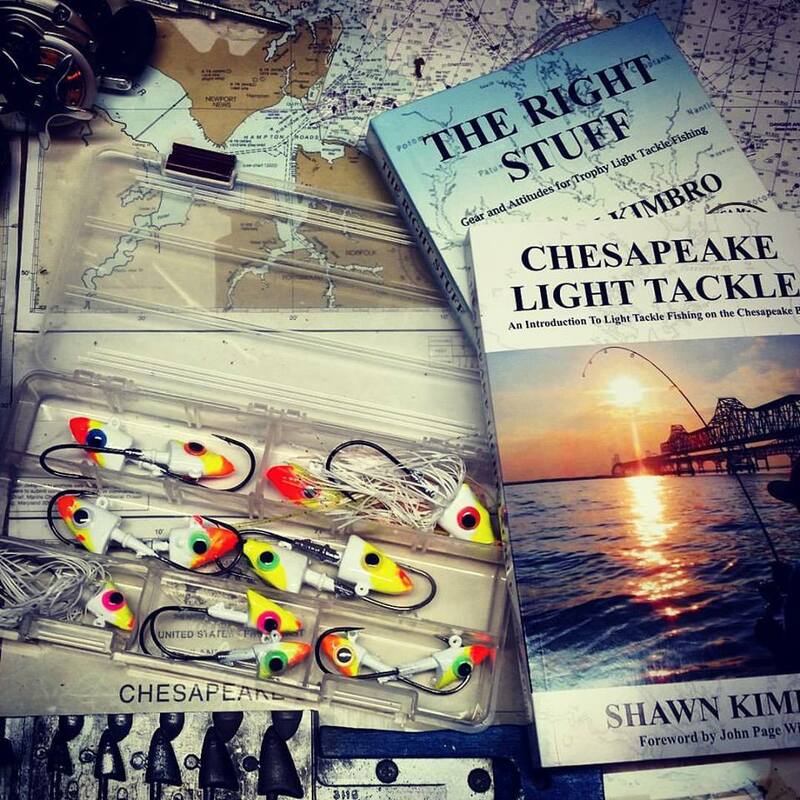 That’s great advice for Chesapeake Bay fishermen as well. We’re coming up on the time of year when fish follow the bait into the shallow waters of the tributary streams. 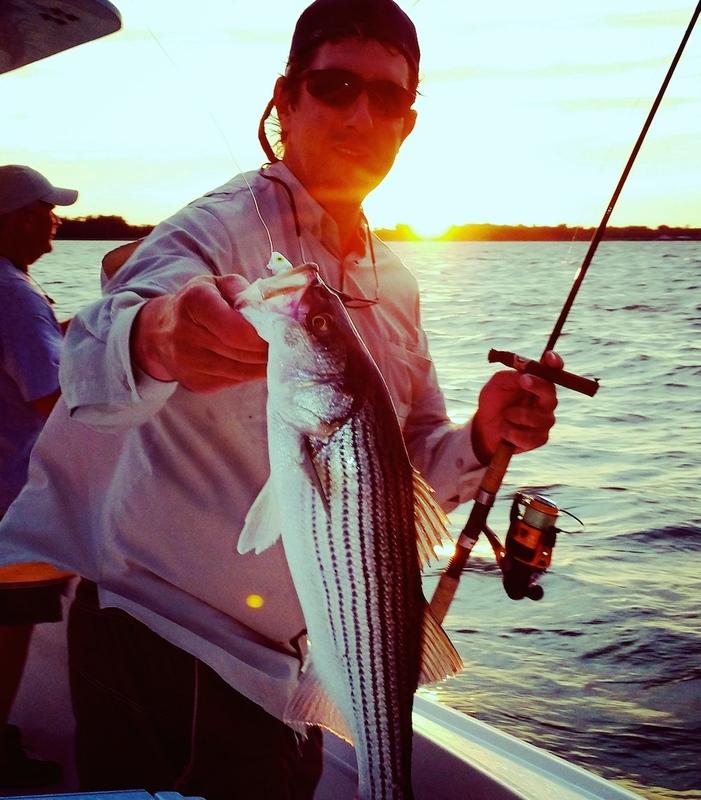 While there may be some fish biting in the channel, the real fun is along the shoreline and in the backwaters. Nothing gets my blood boiling like nice fish blowing up on top-water plugs in a few feet of water. Striped bass, redfish, and speckled trout feed in the Chesapeake shallows in late August and September because there is plenty for them to eat along the shore. 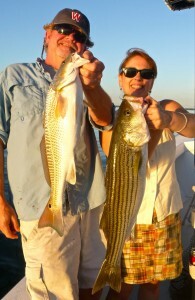 Bait includes silversides, killifish, anchovies, small shrimps, and young crabs. One of their favorite shallow-water baitfish is Atlantic needlefish. Needlefish enter the Bay in early spring to spawn and stay until October or November. In September, they school on the surface around rocks and marshes where they use their strong, scissor-like jaws to ambush small minnows. 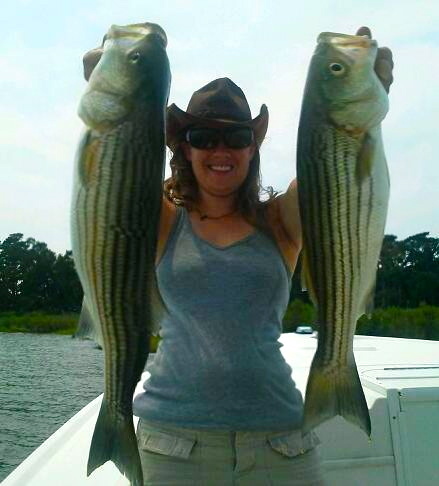 Since their average length is about 10 inches, they’re the perfect sized bait for striped bass. Needlefish style plugs are not extremely popular in this area. They should be, because they’re deadly this time of year. If you don’t have them, don’t fret: an oversized spook or extra-long chugger can be equally effective as long as they float high and are heavy enough to cast accurately. 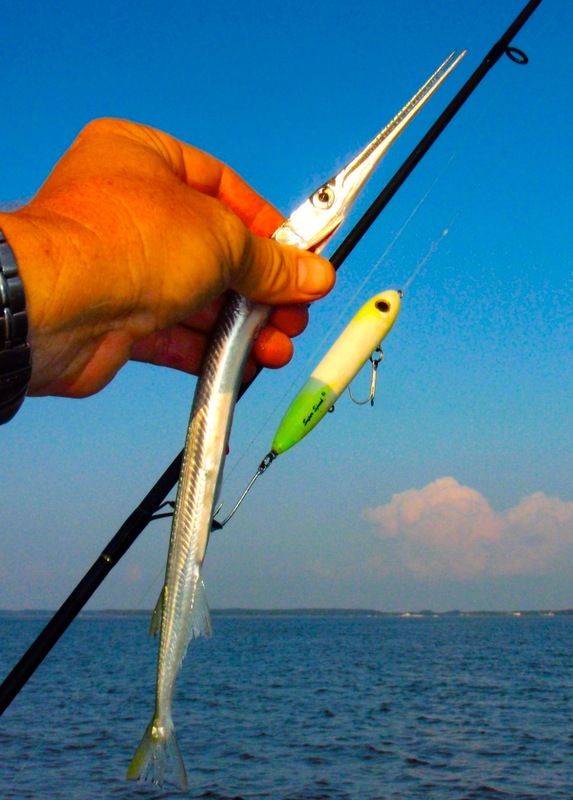 Like stripers, needlefish are very aggressive, so don’t be surprised if you see them darting after your lure. If you’re lucky, you might even catch one. The secret to finding a good top-water spot along the shore is to look for deeper, current-swept banks. Stay alert for rips coming off points, piers, or jetties because this kind of habitat can hold a lot of fish. 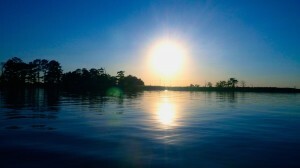 The most likely top-water spots are usually right under your nose, sometimes within casting distance of the boat ramps. Take another look at that rock jetty you pass on your way out of the marina, or the grassy points you buzz by when you’re looking for breakers. Fish feeding along the shore move around from place to place, so you usually have to search several likely-looking spots until you zero in on the action. When you find the fish, pay close attention to the pattern. Did you find them on rocks or grass? Are they in tight to the shore, or well off the bank? Are they aggressively feeding on the up-current side, or holding back in the lee of the points? Once you answer those questions, apply the same patterns to similar areas. The best lures are needlefish style spooks, Heddon Super Spooks, Stillwater Smackits, and Lonely Angler holos or similar. There are some nice fish around, so there’s no need to throw small plugs. Since the fish are plentiful, do yourself and them a favor and remove those treble hooks, especially the ones on the back of the plug. Mature stripers attack their prey from the front. You won’t miss strikes if you remove the back treble and you’ll drastically lessen your chances of getting a hook in your hand. While you’re at it, mash those barbs as well. You don’t need them. One word of caution: there are many submerged rocks, stumps, and trees around those shallow banks, so go easy. Every year boats are severely damaged when anglers venture too close to jagged rocks and shoals. Some are even sunk. One mistake on an unfamiliar bank could cost you thousands of dollars in engine or fiberglass repairs. But if you know some safe spots, or better yet, if you have the determination to paddle a kayak or wade the shoreline, now is the time to get out of the channel and check out the bite in the backwater. Since there are still plenty of bluefish around, I’ll leave you with a video I recently posted that describes my smoking recipe. It might be a little out of the ordinary too but very delicious and hey, don’t float the mainstream. I think you’ll be surprised at the great things you’ll discover once you get off the beaten path. Nothing like breaking the tranquility of a mirror smooth cove by having 30″ plus rock exploding on a spook. Been waiting all summer for the next two months. But you have to be sneaky.